Water Blasting Equipment & Hydro Blasting Machines for Sale | Boatman Industries, Inc.
Refurbished pumps and equipment listed here have been thoroughly inspected and tested to ensure customer satisfaction. 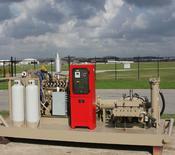 Our pumps are used for a multitude of different jobs including hydroblasting, hydrostatic testing, well service , and injection work. If you do not find what you need in our inventory it is still beneficial to call our office as many of the pumps can be reconfigured to meet you specifications. Our vast selection of water blasting pumps for sale includes a pump for almost every industrial cleaning application imaginable. 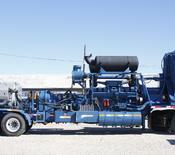 Includes units for hydraulic fracturing , well service pumps, salt water disposal pumps, and mud pumps. 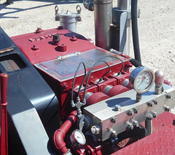 We have the pump to meet your needs! This inventory includes an 80,000 lbs horizontal boring machine, a fully refurbished shellside cleaning machine and a sewer jetter truck. 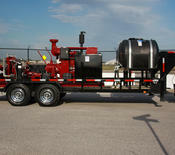 Learn more about our rental and sales equipment. Contact us and we'll get you started!